Was Virgil Catholic? : An old book teaches some new literary lessons. Theodor Haecker’s Virgil, Father of the West (1934), once so influential that T. S. Eliot based an entire lecture upon it,has now passed its 80th anniversary almost without notice. Yet, as if the Fates commanded it, the recent publication of The Last Trojan Hero by the renowned Virgilian scholar Philip Hardie swept the dust off Haecker’s great essay on the Roman poet’s seminal contributions to Western civilization. Theodor Haecker, Mr. Hardie points out, was the first to apply Tertullian’s epithet anima naturaliter Christiana, “a soul naturally Christian,” to Virgil. The audacity of this claim—not even Dante made it for his beloved master—is in itself enough to invite a fresh look at this provocatively titled work. Doing so suggests something more than measuring the seismic changes that have occurred in literary studies since the interbellum period. It suggests how the past can heal the wounds of the present. To grasp this argument, we must understand that Virgil’s public stature and reception by the public have fluctuated over the centuries. Whereas the Renaissance viewed Virgil as the apotheosis of poetry, Theodor Haecker saw him as the divinely ordained bridge between classical antiquity and the greater Christian West: “The essential unity and continuity of the human and natural foundations of the Greco-Roman and the Christian occident are laid bare to us at the critical moment in the person and work of a great poet.” Haecker urges that we also read Virgil in light of the bridge’s destination; for “without some reference to the oncoming faith,” we simply miss too much. The greatest storyteller must be evaluated in light of the greatest story ever told. This fate, a major theme of the Aeneid and of the classical world, takes on new import in light of revelation. Virgil, Haecker declares, never defines the mystery that is fate because “he does not know; he is too great and too honest to pretend to know more than he does.” Etymologically, fate comes from fatum, meaning “a thing spoken, an utterance”—but, he asks, “by whom and to whom?” For the poet Homer, fate was an impersonal force that not even Zeus could control or thwart. Writing some seven centuries later, Virgil makes “fate identical with the chief of its gods, with Jupiter,” who “is at once the utterer and the utterance.” For Haecker this conception of fate “is the summit and perfection of Virgil’s theological ideas,” for it points to “the divine Person who not merely gives effect to the utterance, the Fate, but who Himself utters it.” This divine person, the coming Advent would reveal, is the Word, the eternal utterance of God the Father. Now, since Haecker, a World War, a Cold War and a cultural revolution have intervened; and few—if anyone—in the academy would share this adventist reading of Virgil. Today the ideas that dominate schools and universities proclaim tolerance for all groups and perspectives, yet many have not been especially welcoming of Christianity or biblically informed opinions. “The West” has lost its once vaunted place among other civilizations, and for some the word father has become a metonym for sexism. Virgil’s stature within the academy has decreased because of his imperialism (“You, Roman, remember to rule the people with power, to impose the rule of peace, to spare the conquered and to crush the proud”) and his cold treatment of women (“Woman is ever fickle and changeable”). This attitude toward Virgil is an example of the way reading literature in schools and universities has changed since Theodor Haecker. No longer is literature believed to convey truths about the human condition. Instead, since the universal existence of objective truth is no longer valid; literature can do no more than express the prejudices and opinions of a particular group at a particular time. Too often, it seems, classics are pushed aside in favor of works devoted to more current topics or causes. Imagination is accordingly impoverished when literature serves only a fractured view of reality and of human beings, the result of an astonishingly aggressive relativism that denies the whole and exalts the part. Theodor Haecker’s adventist thesis, stark challenge to postmodernity that it is, offers two benefits for us today. First, it reminds us of the breadth and depth of the Catholic intellectual tradition which, because of its insistence upon the existence of objective truth that can be known by all, still possesses vitality and virtue that can open minds and hearts. Truth abides—and compels. For this reason alone, a “Catholic reading” of Virgil—or of other authors—should have its own legitimate place in the multicultural university. Such a reading raises fundamental questions about human existence and reminds us of the power inherent within literature itself. Inevitably we are led to consider whether the Catholic reading has more to offer than just another perspective, which brings us to the second benefit of Haecker’s reading of Virgil, a reading that we, too, would do well to imitate. It recalls that in the midst of our diverse backgrounds and viewpoints there exists an underlying human nature that we all share. “The immense differences which exist between man and man in time and space are infinitely less than the essential likeness, in the domain of being, between man and man.” For Haecker, and for us, the limits of the self and the limits of politics, which all too often pit us in “turf wars” against each other, can be transcended by the healing and restorative powers of literature. This essential insight illuminates much about our current sickness and explains our need for change, even rebirth. In this approach to literature, Virgil above all deserves a fresh look. It is time to move away from the oppressor-victim binary narrative that cannot see beyond the limits of our own age and again see Virgil as a humanist who, in Tennyson’s verse, “seest Universal Nature moved by Universal Mind.” Virgil foreshadows the Christian humanist, who begins from the premise that human beings are made in the image and likeness of God. When we read Virgil as a humanist in this sense, suddenly many avenues worth exploring in his corpus reopen, including themes of nature, work, obligation, service, friendship, courage, love and loss. St. Ignatius Loyola counseled those whom he directed to find God in all things. 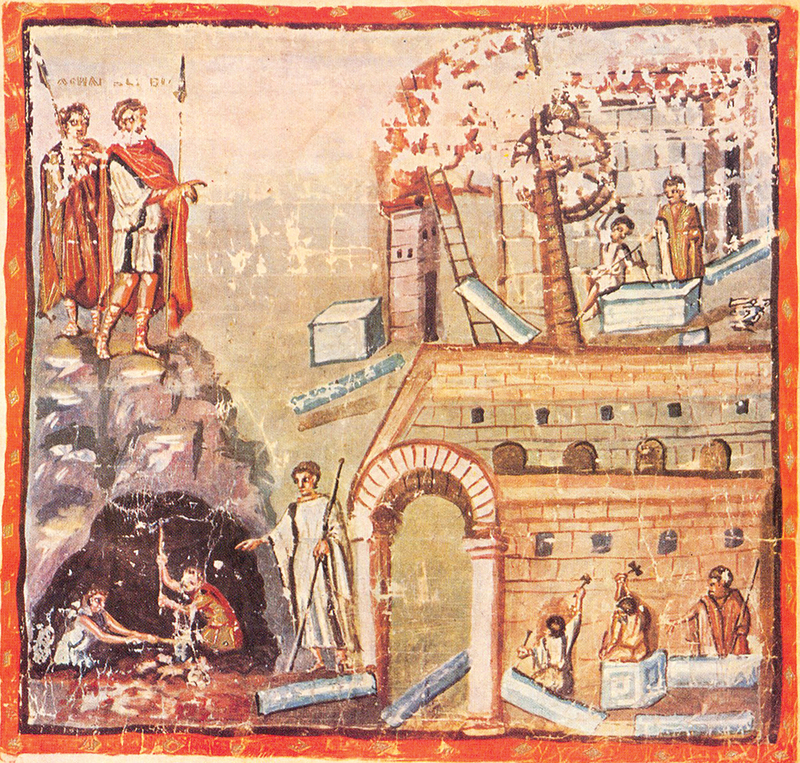 Theodor Haecker’s essay reminds us that not only can God be quite present even in Virgil and pagan literature but also that everything “must stand in some relationship, whether favorable or inimical, to the greatest aspiration of mankind, which is to find salvation.” Through the Aeneid in particular, Virgil expresses this deeply human aspiration in a manner that has not yet been surpassed. Virgil may not have been Catholic in the strict sense, but he was certainly catholic. He sang of the universal characteristics that make human beings who they are. It is no wonder, then, that this anima naturaliter Christiana has earned his title of Father of the West. Fascinating article. Acts of the Apostles has a number of references, direct and indirect, to Virgil and the Aeneid. One of the characters of Acts is named Aeneas. I know that some articles exist on this, and I've been wanting to research this more. This article also appeared in print, under the headline "Was Virgil Catholic? ," in the November 9, 2015 issue. David G. Bonagura Jr. teaches Latin at Regis High School and is an adjunct professor of classical languages at St. Joseph’s Seminary, in Yonkers, N.Y.